This rich canvas style print is a perfect design for sashing, binding, trims on clothing and a wonderful coordinate or feature print for Handbags. 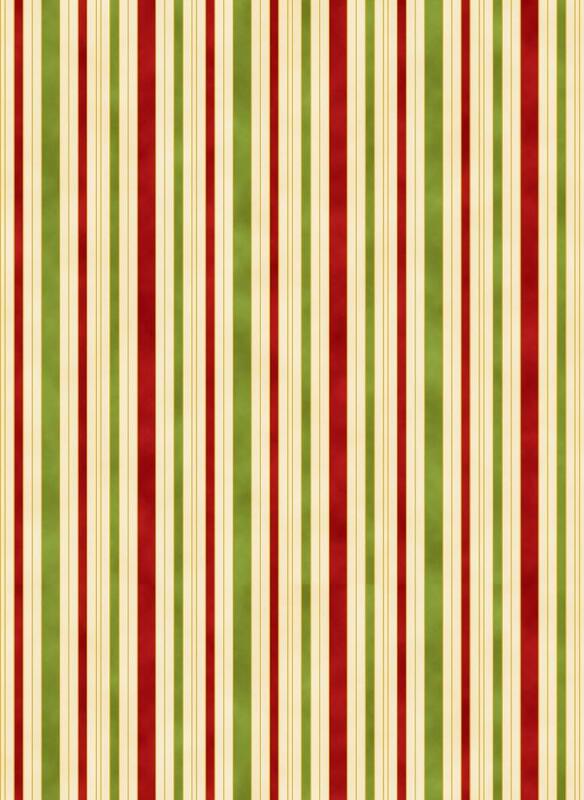 The design features ¼” and 1/8” wide stripes embellished with lines of metallic gold or silver. 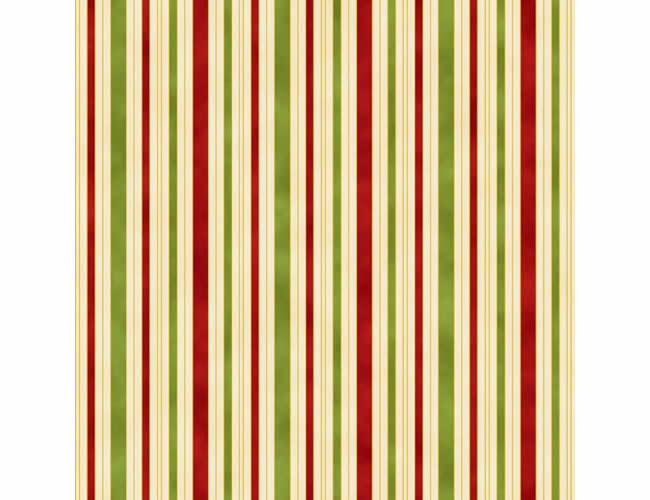 This festively coloured stripe in cheery Red, Green and Ivory with Metallic Gold is perfect for Christmas projects as well as being a perfect partner for Under the Australian Sun prints from the Traditional colour story. This Pattern is a free download (A4 format). To download, hover over pattern image and click. Add 1 download to cart. Proceed to checkout and enter Shipping & Billing information (if requested). Click "Enter Payment Information" and then "Purchase Now". Your download link will then be available. 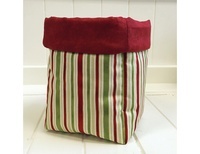 Great for Gifts, Pot Plants, Yummy Treats and Storing Essentials on the sewing Room Table. 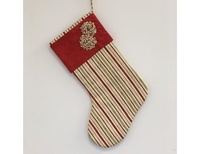 Get a little Classy next Christmas with a Hampton Stripe Stocking and Ruched Flowers.